When he talks with farmers about this concept, what type of response does he get? What Colin thinks is the biggest barrier to farmers incorporating intercropping into their management practices? Colin Rosengren, Rosengren Farms Inc.
Colin is owner-operator of Rosengren Farms near Midale, SK and a co-founder and shareholder in Campresso, the Saskatchewan-based camelina oil pressing company that owns the Three Farmers brand. 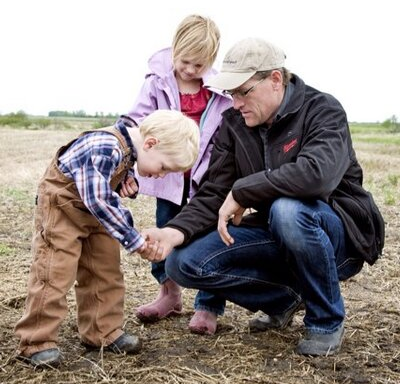 He is also the Vice President of Agronomic Practice and Protocols at Clean Seed Capital Group Ltd. Colin is a third generation farmer who is an early adopter of innovative production practices such as zero-till and intercropping. Download “Some Science Behind Grain Intercropping” presentation from Martin Entz, University of Manitoba.